The Koh Chang National Park is a 52-island archipelago which is home to a number of Thailand’s most pristine islands. Picture yourself walking along fine stretches of white-sandy beaches surrounded by the shimmering Gulf of Thailand with sea temperatures averaging near a luxurious 27°C. Tranquil bays that beckon swimmers and sunbathers can be found on many islands while the adventurous will appreciate off-the-beaten hiking trails, kayaking and some excellent diving spots. Established in 1982, the park ensures that development remains minimal. Although some islands are not more than big sandbars the majority of islands consist of dense jungles and hilly terrain with next to no development. With so many islands to choose from, deciding where to go can be overwhelming. Koh Wai is a jungle clad island that lies 6 kilometres south of Koh Chang’s most southern point and is somewhat a relatively unknown patch of paradise. With a size of just 3 kilometers in length and one kilometer at its widest point,you can easily walk from one end to another in less than 45 minutes. The northern part tends to be busy from morning until early afternoon with groups of snorkelers and sun-seekers that arrive from Koh Chang to spend a few hours here. Reverting back to its idyllic charm after the last boats depart, Koh Wai seems to be completely different. The island is the ideal place for people wanting tranquility and a taste of wilderness. For those who wish to stay overnight, there are currently five simple resorts on the island, four lined up on the north coast and one, Koh Wai Beach Resort, in the southeast. 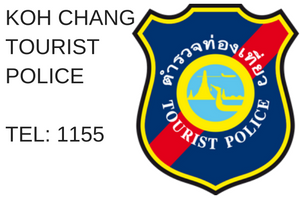 Unlike Koh Chang, you will unavailingly search for convenience stores, pharmacies and bars here. For day visitors, the popular restaurant at Koh Wai Paradise Resort offers fresh dishes like Thai red curry in coconut milk, grilled fish or noodle soup at 100-150 THB per pop. Wifi is only limited available and usually charged by the minute. With no ATMs either available you should take enough cash with you if opting to spend a day or two here. 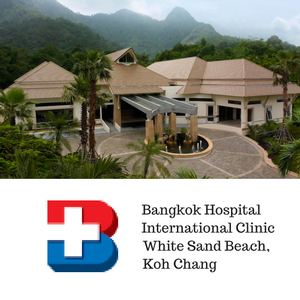 Another important point is the electricity supply here – the two larger resorts, Koh Wai Pakarang Resort and Koh Wai Beach Resort provide 24 hours electricity while the other three have electricity only from 18:00-23:00. Staying on Koh Wai is certainly not for everyone but on the other hand, it offers an extraordinary travel experience. You can reach Koh Wai via the Bang Bao boat that departs a couple of times times a day from Bang Bao pier (300 THB one way). Have you been wondering what Thailand’s islands looked like before mass-tourism arrived? The island offers unspoiled beauty accented by a hilly lush jungle interior, several picturesque, long white-sand beaches and over a dozen dive sites in nearby. 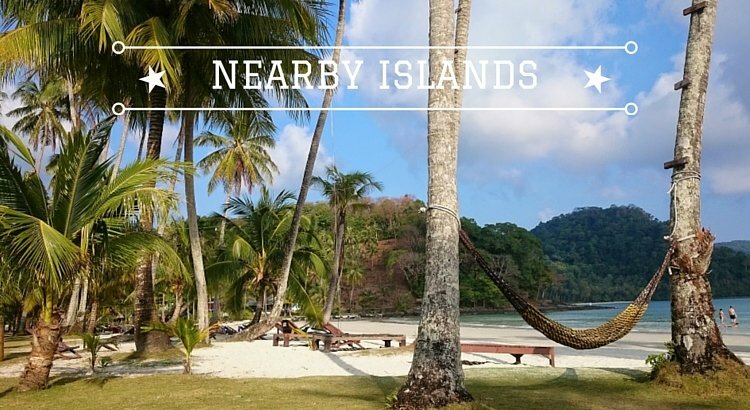 With 16km² in size the island is roughly five times bigger than its northern neighbour, Koh Mak, but don’t worry, it’s far from busy here. 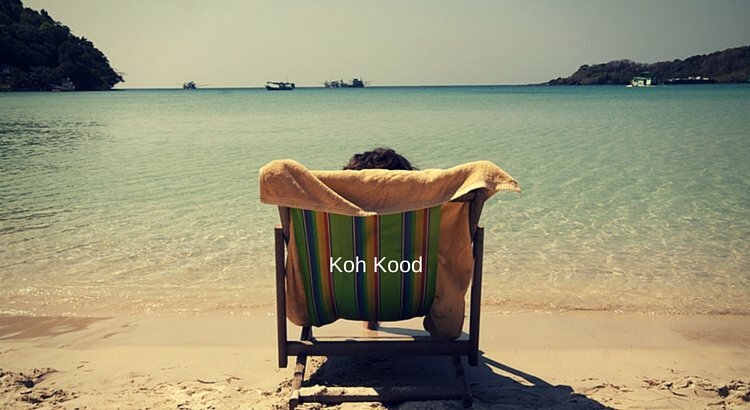 Koh Mak’s main beaches are Ao Khao on the southwest side and Ao Suan Yai facing to the north. 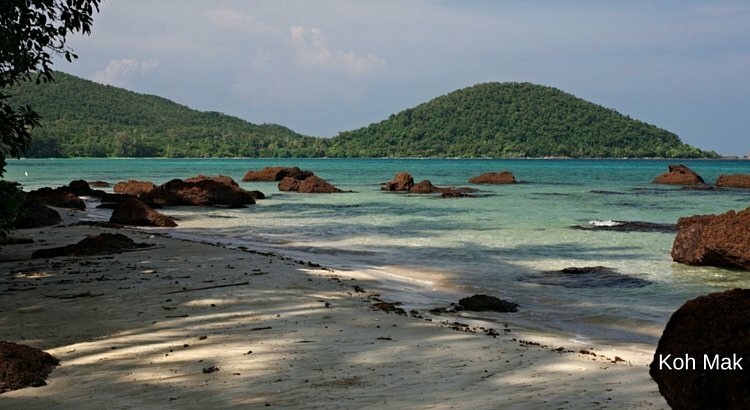 With a length of two kilometers, Ao Khao is the island’s longest beach and home to most of the accommodations that span between simple to mid-range. Along the parallel-running street are several dive centers, shops and restaurants as well a travel office. Ao Suan Yai is slightly smaller yet often praised for its solitude and long flat beaches that are ideal for kids. The nicest part is just behind the Happy Days Resort at its eastern end while the beach gets slightly rugged to the west. A long wooden jetty near the Koh Mak Resort marks one of the three main arrival points on the island. Koh Mak is surrounded by a cluster of smaller islands whereas some even have resorts. Trips can be arranged through your hotel or via one of the few travel offices. Diving is by far one of the most popular activities on Koh Mak. Several fantastic dive sites are located between Koh Mak and Koh Rang. Alternatively, you can always opt for snorkel trips to nearby islands. A six hours trip including hotel transfer and lunch, arranged by Koh Mak Divers, costs 750 THB. Though the island is significantly bigger than Koh Wai you also won’t find any ATMs here. Some of the resorts can change money and accept credit cards, but don’t set your expectation too high and take enough cash with you. Transportation here is mostly provided by Songthaews that ply the hilly dirt roads across the island for 50 THB. Generally, the roads are not busy and motor vehicles are still rare. Some resorts and places offer bicycles for rent, a great alternative to explore Koh Mak. Some of the resorts close during the monsoon that runs from May until October while the ferries between Koh Chang and Koh Mak don’t operate. During the main season, ferries run several times daily between both islands. It takes about one hour to get there and costs 750 THB. Ferries from Koh Kood to Koh Mak take between 30-60 minutes (due to several stops) and set you back at 400 THB. Koh Kood resembles perfectly the clichéd image of a typical postcard from a Thai island – waving palms along wonderful beaches under deep blue sky that merges at the horizon with turquoise water. While the island’s inland consists largely of untouched dense rainforests, the beaches are fringed with coconut palms and blessed with white-powdery sand. Most of the action happens on the west coast where the majority of hotels and resorts are located. The most popular beaches here are Ao Tapao and Khlong Chao while the latter offers a vast choice of accommodation options for almost all budgets. It’s also the area where most of the eateries, shops and bars are. On a side note, Koh Kood doesn’t really cater to backpackers or super-budget oriented folks. In other words, hotels and dorms for a few hundred baht are not around. The island’s main clientele are honeymooners, divers/snorkelers, outdoor enthusiasts and people simply seeking a spot to unwind. Families adore the shallow water that offers ideal conditions for smaller kids while couples and singles love the relaxing, laid-back atmosphere. The activities available are straight forward: tanning, diving, snorkeling and kayaking. For those who want to find something else to do other than lying on the beach, head over to Ao Salat in the northeast of Koh Kood which is a sleepy fishing village that is famous for its seafood. Further to the inside of the island are several slightly demanding hiking trails, three gorgeous waterfalls and an abundance of mangroves that live along the rivers. Koh Kut operates widely seasonal: while the main season runs from November until April, it gets quite busy here and booking a hotel in advance is strongly recommended. On the other hand, some accommodation as well as many eateries, shops and bars close during the rest of the year. Getting around Koh Kood is not difficult thanks to Songthaews that are able to get you to most of the destinations, just flag one down. 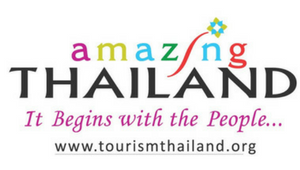 If you wish to explore the island at your own pace you may even consider hiring one for a day (1500-2000 THB). You can always opt for a motorbike (250-350 THB per day) which is a fun way to get around. If you feel more energetic, some shops and hotels rent bicycles. Given the size of the island, most journeys are fairly short and take you along a mix of paved roads and dirt trails. Unlike Koh Mak and Koh Wai, there is one bank and ATM on the island. Money can also be changed in the hotel or resort, however, only for limited amounts. Credit cards are only partially accepted; make sure to take enough cash with you. 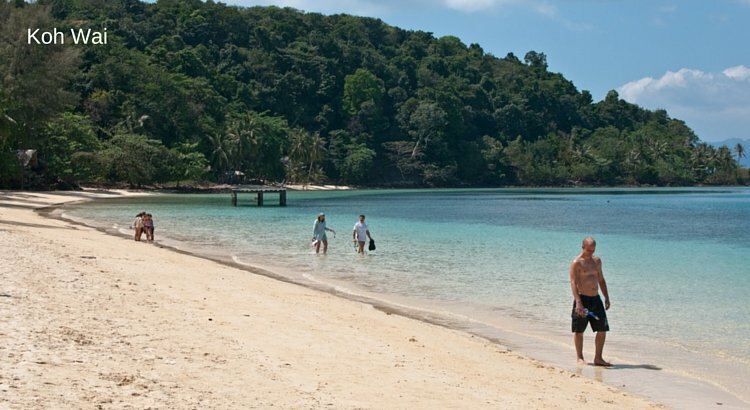 Koh Kood sits about 50 kilometres south of Koh Chang and can be reached within 90 minutes. Speedboats depart several times daily from Bang Bao and Kai Bae. You can also catch boats from Koh Mak, Koh Wai or Laem Sok on the mainland. Note that these boats operate from the mainland in Low Season. There are no inter-island boats from May – October.